I had some alone time with the smallest boy this week and as the weather was nice we decided to have a play in the garden. As it was so nice we had an ice lolly break and O just had to copy my lounge in the garden pose. 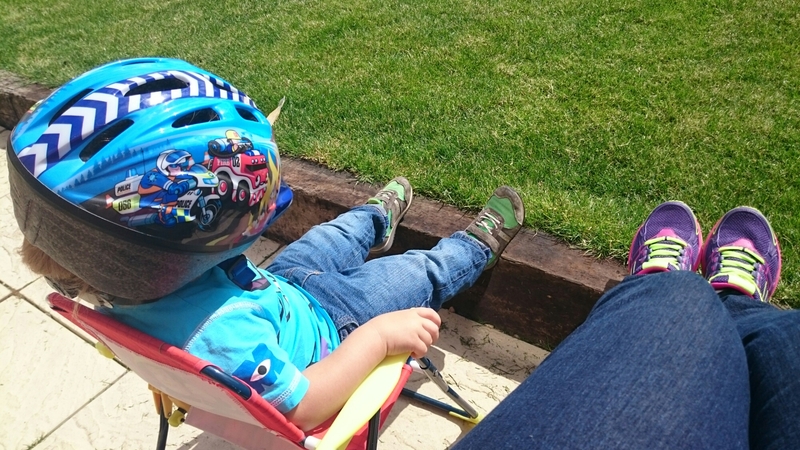 Not sure why he insisted on wearing his helmet!